Posted by David Simpson on May 8, 2015. Return to index. JRebel saves compile time. It "Instantly reload changes to Java classes" – that's the marketing talk anyway. The theory is great. Anything has to be better than the randomness of Atlassian's FastDev or atlas-cli, right? If it's really worth the hype, I want to use it with the Atlassian SDK and speed up my development time. Here's a short tutorial for JIRA development. Scroll down to the video if you want a demo. Here's my quick "how to" get up and running. 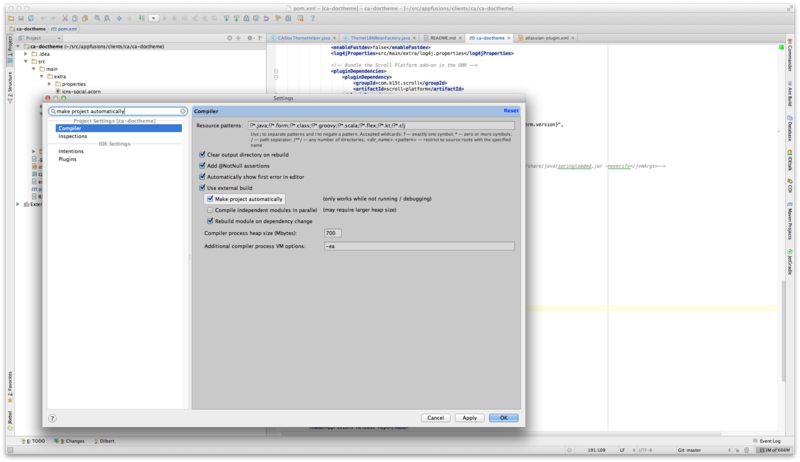 Add the jrebel-maven-plugin under build > plugins (see details of what does what here). Run atlas-run or atlas-debug on the command line, checking for any errors. Change something in your code & reload the page. All is automatically updated. Immediately. No more waiting for code compile changes. The good news – it's pretty cool. The bad news – JRebel costs around $365 per seat per year. But think of all the time you save.